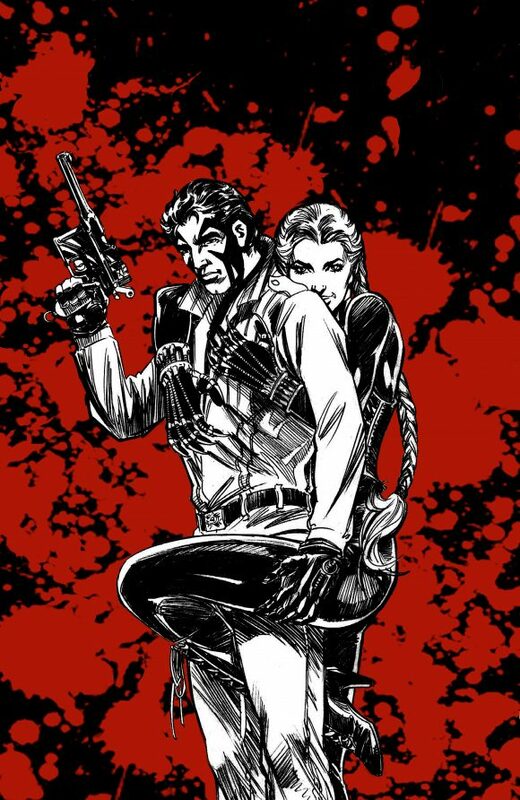 Comics mainstay Mike Grell, famed for his work on Green Arrow, Warlord and the Legion of Super-Heroes, is planning a big return to one of his cult-fave projects — Maggie the Cat, his never-completed thriller from the ’90s. Grell — a pioneer in creator-owned comics, with titles such as Jon Sable, Freelance and Starslayer — is going the Kickstarter route to finish the series this summer, more than 20 years after it debuted. Maggie the Cat – the story of a burglar pressed into service by British intelligence — was initially a 1996 spinoff of Jon Sable, Freelance published by Image. But the series fell into the abyss when the comics industry crashed. Though Maggie has appeared since, her first solo tale was never finished. Campaign exclusives will include variant covers by artists Chad Hardin and Stephen B. Scott; prints; T-shirts; and original art. You’ll also have a shot at getting drawn into the book yourself. This appears to be just the start, too. Grell’s got plans for his creator-owned properties that are under wraps for now, but will be revealed soon. — MIKE GRELL Reveals the Secrets of GREEN ARROW: THE LONGBOW HUNTERS. Click here. — Why MIKE GRELL Was Happy to Work on LEGION — and Even Happier to Leave It. Click here. This could be interesting. No details yet at the Kickstarter link. March 1st is past but no Kickstarter. Any news?